Wish you could hand read like the pros? Subscribe for the newsletter and download the exact system Alec uses for each and every decision he makes at the poker table. 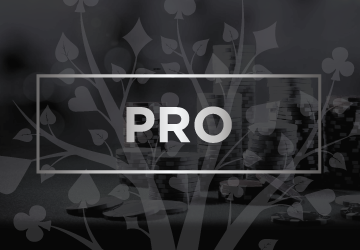 Master the art of hand reading, be the most confident player you know and crush the competition with our pro membership program. Includes an exclusive video library, a private forum and monthly group coaching. Access to a private FB group and Slack moderated by a ConsciousPoker coach. Priority access to submit #HandoftheDay and #AskAlec questions to me. A video library of my best, most in-depth strategy videos. New content every week to help improve your game. Four Step Poker Foundation Videos. This series originally sold for $197 and it includes my Four Step Process for making decisions which you can apply to any opponent in any situation in any game. Each video has a PDF worksheet which you can use to take action immediately and implement what you learn directly into your own game. The Four Step Process will transform the way you think about poker and it's exclusively part of my Pro Membership plan. Monthly group coaching sessions and live Q&A with yours truly. All of these sessions are then recorded and uploaded to your members area in case you miss it. I created this site with the goal of building a community of like-minded people willing to grow both and learn from each other. You’ll find a lot of valuable insights here: from tips on how to overcome tilt to to secrets on how to become a talented poker player. Thank you for your attention and I hope you’ll share your poker journey with us.